Are you writing content only for the Google? Are you writing content for your readers? Or you are confused that you should write for Google or readers. Following the guidelines of the Google is also important but writing not for ready will also lead you to nowhere. As a copywriter for your website, you’ve got to understand that your readers come first and foremost. That means that whatever you write needs to be useful, interesting and informative. However, you can write all this content, and if it isn’t optimized for Google, then no one will ever find it. That means that you need to strike a fine balance between writing for people and writing for search engine algorithms. Here’s how you can do that and create content that converts, every time. If you’re new to copywriting, you’ll see a lot of people talking about SEO online. What does this mean, and how does it affect you and your work? SEO stands for Search Engine Optimization, and essentially it’s how you ensure readers will find your work online. 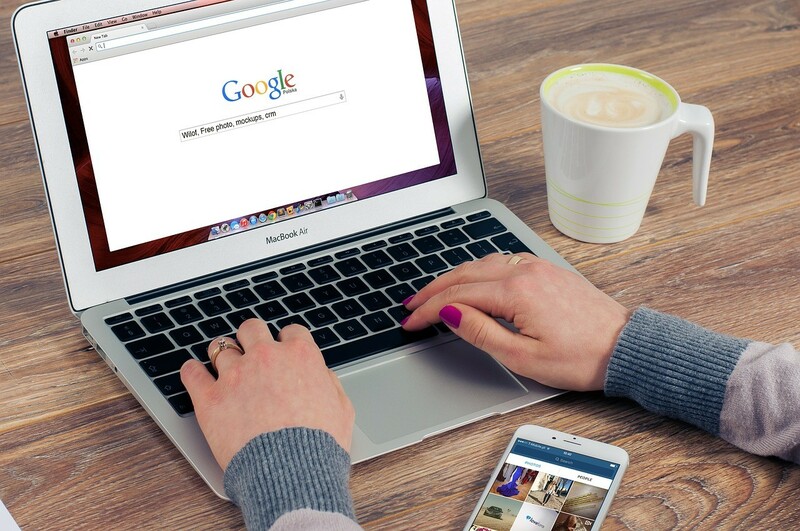 Search engines like Google have access to millions of websites, so you want to ensure that it’s bringing up your site when your intended audience is searching for content online. This sounds like very obvious advice, but you do need to ensure that you’re writing for readers first and foremost. Imagine you’re a new writer and you’ve just found out how SEO works. You’ll throw every trick in the book at your content, looking to improve the SEO score. However, in doing so, you’ve neglected to think about the real content of the piece. That means that your content is optimized, but the reader isn’t going to find anything they need here. That’s why before you write anything, you need to think about your readers. What are they looking for when they come to you? For example, if you sell gardening supplies, they’ll be coming to you for information on supplies, or how to guides for planting or caring for their gardens. That should inform the kind of content you create before you even think about optimizing for SEO. Now you know the basics; you’ll want to get started writing. To write the best content, you’ll want to combine excellent SEO with intriguing content. This can be done, with a little time and patience. You can get this down and create excellent content every time. As a writer, you’ll need to think about not only what your readers want to see, but also how you can get it in front of them. Can you write the content that your readers are looking for? Before you start writing anything, you’ll want to think about your audience as a whole. The best way to get started is to create ‘buyer personas.’ These are sketches of the kind of people that you want to be bringing to your website. Let’s stick with the gardening example for now. One of the ‘personas’ you may want to attract will be a novice gardener, someone who’s never really tried to tend to plants before, and will need some hand-holding. As well as this, you may have expert gardeners coming to you. They know more about caring for their gardens and are interested in the equipment you can sell them to improve their gardening experience. These are just two examples, but you may have more personas coming to you on any given day. This will now inform the kind of content that you create as a writer. The next step will be your first foray into SEO. Now that you know who you’re writing for, you’ll need to pick out the keywords that they’ll be searching for online. It’s time to brainstorm what kind of things they’ll be looking for online. For example, that novice gardener may be looking for ‘How to plant pansies.’ As this is the case, you’ll need to think about how you’ll use these keywords in your text. If you’re unable to come up with new keywords, an SEO writing tool like Articoolo, and similar tools recommended by the Huffington Post, may be able to help. Once you have your keywords, ensure that you’re using them in your text naturally. A reader will be able to spot shoehorned in keywords a mile away. They won’t make sense, and they won’t flow with the rest of the text. Instead, insert them where they make sense. You’re going to need a good headline to go with that piece of content. The best headlines will grab the reader’s attention right from the search results, so you want to ensure you’re writing the best one you can. The first thing you need to do is ensure that your headline is relevant to the content you’ve written. Many people online have clicked a link, only to find that the content isn’t anywhere near as relevant as they thought it would be. It’s irritating, and you’ll lose readers if you don’t check this. These headlines are energetic and include the reader, making them more likely to click the link. If you need help finding just the right headline, try using SEO copywriting tools. Sites like Australian Reviewer can brainstorm titles with you, to ensure you get it right. Once you’ve written your content, it isn’t ready to publish right away. You need to take time edit and proofread it, to ensure that it’s perfect. There are a couple of different reasons. Firstly, search engines take into account the quality of your writing when indexing you. If your copy contains spelling and grammatical errors, then you’ll be marked down. This will make it harder for potential readers to find you. As well as this, readers will take notice if your copy isn’t polished. It can show that you’re not as professional as other sites and that you don’t care about the image you put out. It can be off-putting so that readers will head elsewhere. Take the time to read over your work, and edit it properly. Again, if you need help with this, there are services available. Grammarly, for example, is a great proofreading tool, while the State of Writing can help with editing. Make use of these services of proofreading as and when you need to ensure that you’re getting your editing right. And there you have it. You can see what a fine balancing act it is, creating reader led content without upsetting the balance of your SEO. If you follow these tips though, you’ll be able to do it every time you create new content. Rachel Summers is a social media consultant, having worked with many companies over the years to improve their online presence. Most recently, she's worked with UK Services Reviews, a leading custom writing service. In her free time, she works with startups to help them develop social media strategies. You can also check her blog. This is a good topic to talk about when you are a new blogger online. And when you are learning about SEO and have such questions. When I first started building my blog online, I learned about SEO very soon and started writing for the Google Search Engine. I can read these old blog posts now and they are boring and very generic. You gotta write for the reader. And not just any reader, but a Googler Reader. Someone who likes to use Google to find information. That is the person you are writing for. Of course, you want to optimize your content for the search engine spiders in order for them to show your content to someone who is looking for that content. It is important that you write for your reader first. Once you are finished with the article, only then I would go over everything and start optimizing with keywords here and there. But that is the last thing I do. I write for my reader first. Just my 2cents on the subject! Thank you for sharing this Rachel! SEO is very important for a website or blog to increase the flow organic traffic. Without a SEO no one can survive as it is very necessary. Writing catchy headlines are tricky part and it helps attract readers to your blog. Thanks for sharing these great insights with us all. Hi Robin, great writing on content strategis. Following these article I hope new bloggers will be able to satisfy both Google and Readers writing contents in their blog. Thanks. Have a good day! I think it’s about finding your target audience wants and needs. Once you know what they want, you can easily create user-centric content to generate more traffic and sales. Also instead of focusing solely on SEO while creating content, write for the readers first. Then you can optimize your primary keywords in titles, meta description, URL, at the body etc. The key to generating more SEO traffic is definitely attracting more backlinks. The more you build the better (of course quality matters). This is very nice post and also very helpful. I learn new information from your article , you are doing a great job. keep it up. Great post of wiritng content for both Google and users. tahnks for sharing this information. It is very useful.